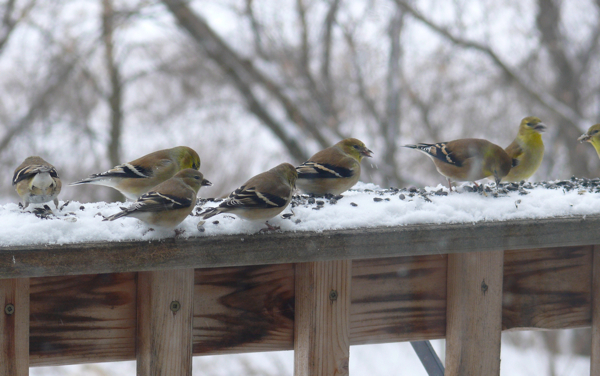 On these snowy days the birds arrive at dawn, cover the feeders, and eat frantically all day long. Every morning I sprinkle the top of the railing with sunflower seeds – the goldfinches love that. It’s gone in less than an hour. 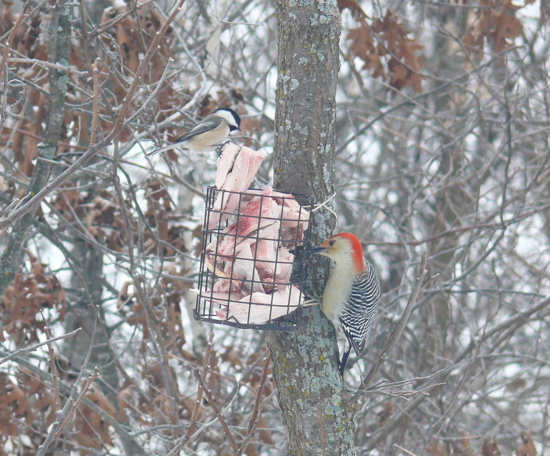 I put up a new suet feeder in the woods – I’m trying to lure in the Pileated Woodpeckers in closer. We see them almost every day, but not close to the house. I can see this new feeder from the window in front of my desk. 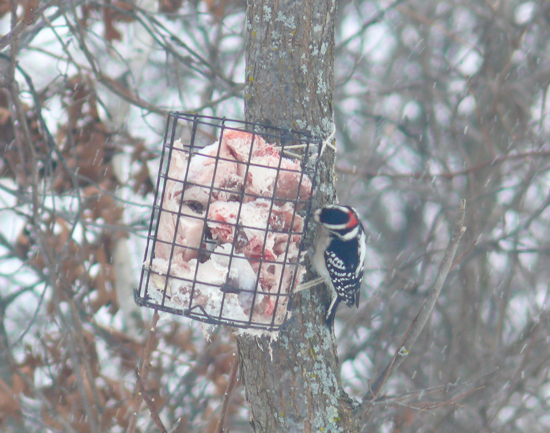 No Pileateds so far, but lots of the other birds like it. 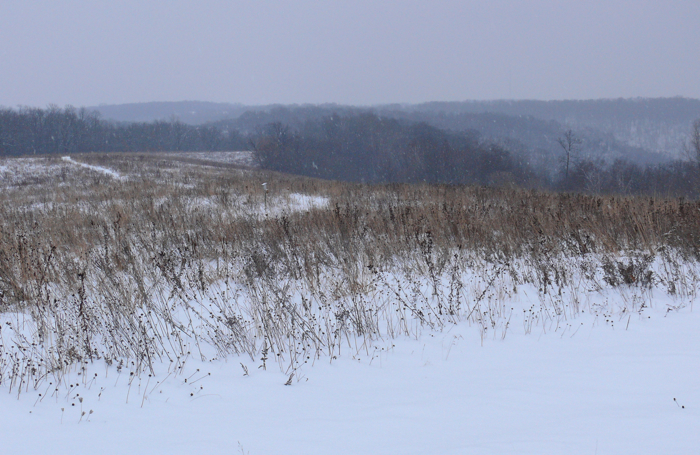 The prairies are very quiet and snowy – I have to walk to them on snowshoes. 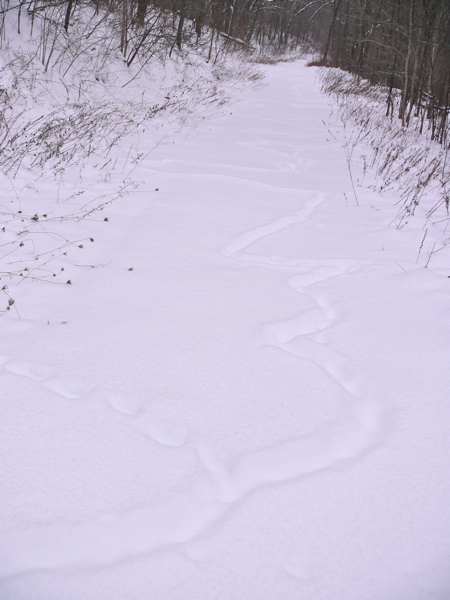 On the way down I found an interesting, wandery animal track. It looked like a well used, straight track, and some animal had used it, but had made numerous detours from the main track to investigate interesting smells on the other side of the path.